Authors: Bespalova O.N., Sargsyan G.S. Cervical incompetence (CI) is one of the challenges of modern obstetrics. The practicing obstetrician-gynecologist faces a complex task of timely diagnosis, selection of correction method, timing of application and removal of cerclage. The problem of CI in pregnancy is known from the XIX century, but in the XI century, the outstanding scientist Abu Ali Ibn Sina (Avicenna) wrote about this pathology. According to the classical definition, CI is the softening, widening and shortening of the cervix prior to the 37th week of gestation in the absence of thretening termination of pregnancy. CI is characterized by inability to carry a pregnancy to full-term due to functional or structural abnormalities of the uterine cervix. To date, no objective diagnostic tests exists to identify patients at high risk of developing CI, not before and not during pregnancy. A high diagnostic accuracy during pregnancy can be reached with transvaginal ultrasound of the cervix. The ultrasound scale proposed by Salomon LJ allows to measure the length of the cervix depending on the gestational age and assists in making the right choice for the correction of short cervix. The selection of the method of correction of CI depends on the clinical situation, history, timing of gestation, the number of fetuses, cervicometry data, gynecological examination, the threat of abortion, and the doctor’s experience. There are two main methods of correction of CI: conservative and surgical. Surgical methods include transvaginal and transabdominal cerclage, while conservative includes adherence to bed rest, tocolytics, hormonal therapy, and the use of obstetric pessaries. Insertion of obstetric pessaries is a promising, safe, simple method of treatment and prevention of CI and for threatening termination of pregnancy in the II and III trimesters. The strategy of widespread use of pessaries in pregnant women from high-risk groups can reduce the frequency of preterm labor and improve perinatal outcomes. cervical incompetence (CI), cerclage, transvaginal cerclage, transabdominal cerclage, obstetric pessary Arabin, transvaginal ultrasound, premature birth. McDonald IA. Incompetence of the cervix. Aust NZ J Obstet Gynaecol. 1978;18:34-7. doi: 10.1111/j.1479-828X.1978.tb00008.x. Shennan A, Jones B. The cervix and prematurity: aetiology, prediction and prevention. Semin Fetal Neonatal Med. 2004;9:471-9. doi: 10.1016/j.siny.2004.09.001. Brown R, Gagnon R, Delisle MF. Cervical insufficiency and cervical cerclage. J Obstet Gynaecol Can. 2013;35:1115-27. doi: 10.1016/S1701-2163(15)30764-7. ACOG Practice Bulletin. Cervical insufficiency. Obstet Gynecol. 2003;102:1091-9. Grant A, Chalmers I, Enkin M, et al. Effective care in pregnancy and childbirth. Cervical cerclage to prolong pregnancy: New York: Oxford University Press; 1989. Rand L, Norwitz ER. Current controversies in cervical cerclage. Semin Perinatol. 2003;27:73-85. doi: 10.1053/sper.2003.50005. Mercer BM, Goldenberg RL, Moawad AH, et al. The preterm prediction study: effect of gestational age and cause of preterm birth on subsequent obstetric outcome. National Institute of Child Health and Human Development Maternal-Fetal Medicine Units Network. Am J Obstet Gynecol. 1999;181:1216-21. doi: 10.1016/S0002-9378(99)70111-0. Ananth CV, Getahun D, Peltier MR, et al. Recurrence of spontaneous versus medically indicated preterm birth. Am J Obstet Gynecol. 2006;195:643-50. doi: 10.1016/j.ajog.2006.05.022. Mackenzie R, Walker M, Armson A, et al. Progesterone for the prevention of preterm birth among women at increased risk: a systematic review and meta-analysis of randomized controlled trials. Am J Obstet Gynecol. 2006;194:1234-42. doi: 10.1016/j.ajog.2005.06.049. Steer P. The epidemiology of preterm labour. BJOG. 2005;112(Suppl.1):1-3. doi: 10.1111/j.1471-0528.2005.00575.x. ACOG Committee Opinion. Use of progesterone to reduce preterm birth. Obstet Gynecol. 2003;102:1115-6. Martin JA, Hamilton BE, Sutton PD, et al. Births: final data for 2004. Natl Vital Stat Rep. 2006;55:1-101. Goldenberg RL, Rouse DJ. Prevention of premature birth. N Engl J Med. 1998;339:313-20. doi: 10.1056/NEJM199807303390506. Rush RW, Keirse MJ, Howat P, et al. Contribution of preterm delivery to perinatal mortality. Br Med J. 1976;2:965-8. doi: 10.1136/bmj.2.6042.965. Challis JRG. Characteristics of parturition. In: Creasy RK, Resnik R, eds. Maternal-Fetal Medicine. 4th ed. Philadelphia: Saunders; 1999:484-497. Romero R, Espinoza J, Kusanovic JP, et al. The preterm parturition syndrome. BJOG. 2006;113(Suppl.3):17-42. doi: 10.1111/j.1471-0528.2006.01120.x. Romero R, Espinoza J, Erez O, et al. The role of cervical cerclage in obstetric practice: can the patient who could benefit from this procedure be identified? Am J Obstet Gynecol. 2006;194:1-9. doi: 10.1016/j.ajog.2005.12.002,. Anthony GS, Walker RG, Robins JB, et al. Management of cervical weakness based on the measurement of cervical resistance index. Eur J Obstet Gynecol Reprod Biol. 2007;134:174-8. doi: 10.1016/j.ejogrb.2006.10.006. Block MF, Rahhal DK. Cervical incompetence. A diagnostic and prognostic scoring system. Obstet Gynecol. 1976;47:279-81. Toaff R, Toaff ME, Ballas S, et al. Cervical incompetence: diagnostic and therapeutic aspects. Isr J Med Sci. 1977;13:39-49. Zlatnik FJ, Burmeister LF. Interval evaluation of the cervix for predicting pregnancy outcome and diagnosing cervical incompetence. J Reprod Med. 1993;38: 365-369. Zlatnik FJ, Burmeister LF, Feddersen DA, et al. Radiologic appearance of the upper cervical canal in women with a history of premature delivery. II. Relationship to clinical presentation and to tests of cervical compliance. J Reprod Med. 1989;34:525-30. Аганезова Н.В. Диагностика органической истмико-цервикальной недостаточности вне беременности с использованием регистрации тономоторной реакции мускулатуры матки на растяжение: Дис. … канд. мед. наук. – СПб., 1995. [Aganezova NV. Diagnostika organicheskoj istmiko-cervikal’noj nedostatochnosti vne beremennosti s ispol’zovaniem registracii tonomotornoj reakcii muskulatury matki na rastjazhenie. [dissertation] Saint Petersburg; 1995. Сатышева И.В. Клинико-диагностические особенности и эффективность различных методов лечения истмико-цервикальной недостаточности. Дис. … канд. мед. наук. – Томск, 2009. [Satysheva IV. Kliniko-diagnosticheskie osobennosti i jeffektivnost’ razlichnyh metodov lechenija istmiko-cervikal’noj nedostatochnosti. [dissertation]. Tomsk; 2009. Zemlyn S. The length of the uterine cervix and its significance. J Clin Ultrasound. 1981;9:267-9. doi: 10.1002/jcu.1870090603. Bowie JD, Andreotti RF, Rosenberg ER. Sonographic appearance of the uterine cervix in pregnancy: the vertical cervix. American Journal of Roentgenology. 1983;140:737-40. doi: 10.2214/ajr.140.4.737. Brook I FM, Schwartz A, Zakut H. Ultrasonography in the diagnosis of cervical incompetence in pregnancy-a new diagnostic approach. British Journal of Obstetrics and Gynaecology. 1981;88:640-3. doi: 10.1111/j.1471-0528.1981.tb01222.x. Sonek J, Shellhaas C. Cervical sonography: a review. Ultrasound Obstet Gynecol. 1998;11:71-8. doi: 10.1046/j.1469-0705.1998.11010071.x. Practice bulletin no. 130: prediction and prevention of preterm birth. Obstet Gynecol. 2012;120:964-73. doi: 10.1097/AOG.0b013e3182723b1b. Hernandez-Andrade E, Romero R, Ahn H, et al. Transabdominal evaluation of uterine cervical length during pregnancy fails to identify a substantial number of women with a short cervix. J Matern Fetal Neonatal Med. 2012;25:1682-9. doi: 10.3109/14767058.2012.657278. Salomon LJ, Diaz-Garcia C, Bernard JP, et al. Reference range for cervical length throughout pregnancy: non-parametric LMS-based model applied to a large sample. Ultrasound Obstet Gynecol. 2009;33:459-64. doi: 10.1002/uog.6332. Lash AF, Lash SR. Habitual abortion; the incompetent internal os of the cervix. Am J Obstet Gynecol. 1950;59:68-76. doi: 10.1016/0002-9378(50)90342-5. McDonald IA. Suture of the cervix for inevitable miscarriage. J Obstet Gynaecol Br Emp. 1957;64:346-50. doi: 10.1111/j.1471-0528.1957.tb02650.x. Shirodkar VN. A new method of operative treatment for habitual abortions in the second trimester of pregnancy. Antiseptic. 1955;52:299. Katz M, Abrahams C. Transvaginal placement of cervicoisthmic cerclage: report on pregnancy outcome. Am J Obstet Gynecol. 2005;192:1989-92. doi: 10.1016/j.ajog.2005.02.127. Harger JH. Comparison of success and morbi dity in cervical cerclage procedures. Obstet Gynecol. 1980;56:543-8. Rozenberg P, Senat MV, Gillet A, et al. Comparison of two methods of cervical cerclage by ultrasound cervical measurement. J Matern Fetal Neonatal Med. 2003;13: 314-7. doi: 10.1080/jmf.13.5.314.317. Perrotin F, Marret H, Yeva-Derman M, et al. Second trimester cerclage of short cervixes: which technique to use? A retrospective study of 25 cases. J Gynecol Obstet Biol Reprod. 2002;31(7):640e8. Odibo AO, Berghella V, To MS, et al. Shirodkar versus McDonald cerclage for the prevention of preterm birth in women with short cervical length. Am J Perinatol. 2007;24:55-60. doi: 10.1055/s-2006-958165. Treadwell MC, Bronsteen RA, Bottoms SF. Prognostic factors and complication rates for cervical cerclage: a review of 482 cases. Am J Obstet Gynecol. 1991;165:555-8. doi: 10.1016/0002-9378(91)90283-W. Final report of the Medical Research Council/Royal College of Obstetricians and Gynaecologists multicentre randomised trial of cervical cerclage. MRC/RCOG Working Party on Cervical Cerclage. Br J Obstet Gynaecol. 1993;100:516-23. doi: 10.1111/j.1471-0528.1993.tb15300.x. Lazar P, Gueguen S, Dreyfus J, et al. Multicentred controlled trial of cervical cerclage in women at moderate risk of preterm delivery. Br J Obstet Gynaecol. 1984;91:731-5. doi: 10.1111/j.1471-0528.1984.tb04841.x. Rush RW, Isaacs S, McPherson K, et al. A randomized controlled trial of cervical cerclage in women at high risk of spontaneous preterm delivery. Br J Obstet Gynaecol. 1984;91:724-30. doi: 10.1111/j.1471-0528.1984.tb04840.x. American College of Obstetricians and Gynecologists. ACOG Practice Bulletin No 142: Cerclage for the management of cervical insufficiency. Obstet Gynecol. 2014;123(2 Pt1):372-9. doi: 10.1097/01.AOG.0000443276.68274.cc. Royal College of Obstetricians and Gynecologists (RCOG). Cervical Cerclage. Green-top Guideline No. 60 May 2011. Berghella V, Rafael TJ, Szychowski JM, et al. Cerclage for short cervix on ultrasonography in women with singleton gestations and previous preterm birth: a meta-analysis. Obstet Gynecol. 2011;117:663-71. doi: 10.1097/AOG.0b013e31820ca847. Rafael TJ, Berghella V, Alfirevic Z. Cervical stitch (cerclage) for preventing preterm birth in multiple pregnancy. Cochrane Database Syst Rev. 2014CD009166. Khodzhaeva Z, Sukhikh G, et al. Experience with cervical serclage in multiple pregnancies. The Journal of Maternal-Fetal Neоnatal Medicine. 2009;21. Schubert RA, Schleussner E, Hoffmann J, et al. Prevention of preterm birth by Shirodkar cerclage – clinical results of a retrospective analysis. Z Geburtshilfe Neonatol. 2014;218:165-170. doi: 10.1055/s-0034-1382070. Drakeley AJ, Roberts D, Alfirevic Z. Cervical stitch (cerclage) for preventing pregnancy loss in women. Cochrane Database Syst Rev. 2003CD003253. Althuisius S, Dekker G, Hummel P, et al. Cervical Incompetence Prevention Randomized Cerclage Trial (CIPRACT): effect of therapeutic cerclage with bed rest vs. bed rest only on cervical length. Ultrasound Obstet Gynecol. 2002;20:163-7. doi: 10.1046/j.1469-0705.2002.00770.x. Umstad MP, Quinn MA, Ades A. Transabdominal cervical cerclage. Aust N Z J Obstet Gynaecol. 2010;50:460-464. doi: 10.1111/j.1479-828X.2010.01212.x. Ades A, May J, Cade TJ, et al. Laparoscopic transabdominal cervical cerclage: a 6-year experience. Aust NZ J Obstet Gynaecol. 2014;54:117-120. doi: 10.1111/ajo.12156. Liddell HS, Lo C. Laparoscopic cervical cerclage: a series in women with a history of second trimester miscarriage. J Minim Invasive Gynecol. 2008;15:342-345. doi: 10.1016/j.jmig.2008.01.003. Morice P, Josset P, Colau JC. Gynecology and obstetrics in ancient. Egypt J Gynecol Obstet Biol Reprod. 1994;23:131-13. Kubli F, Arabin B. Frühgeburt (Preterm delivery) In: Dudenhausen JW, editor. Praxis der Perinatalmedizin (Practice of Perinatal Medicine). Stuttgart, New York: Thieme; 1982:148-184. Arabin H. Pessartherapie (Therapy with pessaries) In: Martius G, editor. Gynäkologie: Stuttgart, New York: Thieme; 1991:263-276. Culligan PJ. Nonsurgical management of pelvic organ prolapse. Obstet Gynecol. 2012;119:852-60. doi: 10.1097/AOG.0b013e31824c0806. Pott-Grinstein E, Newcomer JR. Gynecologists’ patterns of prescribing pessaries. J Reprod Med. 2001;46:205-8. Bespalova O, Sargsyan G, Ailamazyan E. The efficacy of insertion of the Arabin pessaries for correction of cervical incompetence and prevention of preterm birth. J Giorn It Gin. 2016;38. Goya M, Pratcorona L, Merced C, et al. Cervical pessary in pregnant women with a short cervix (PECEP): an open-label randomised controlled trial. Lancet. 2012;379:1800-1806. doi: 10.1016/S0140-6736(12)60030-0. Liem S, Schuit E, Hegeman M, et al. Cervical pessaries for prevention of preterm birth in women with a multiple pregnancy (ProTWIN): a multicentre, open-label randomised controlled trial. Lancet. 2013;382:1341-1349. doi: 10.1016/S0140-6736(13). 61408-7. Liem SM, van Baaren GJ, Delemarre FM, et al. Economic analysis of use of pessary to prevent preterm birth in women with multiple pregnancy (ProTWIN trial). Ultrasound Obstet Gynecol. 2014;44:338-345. doi: 10.1002/uog.13432. Carreras E, Arevalo S, Bello-Munoz JC, et al. Arabin cervical pessary to prevent preterm birth in severe twin-to-twin transfusion syndrome treated by laser surgery. Prenat Diagn. 2012;32:1181-1185. doi: 10.1002/pd.3982. 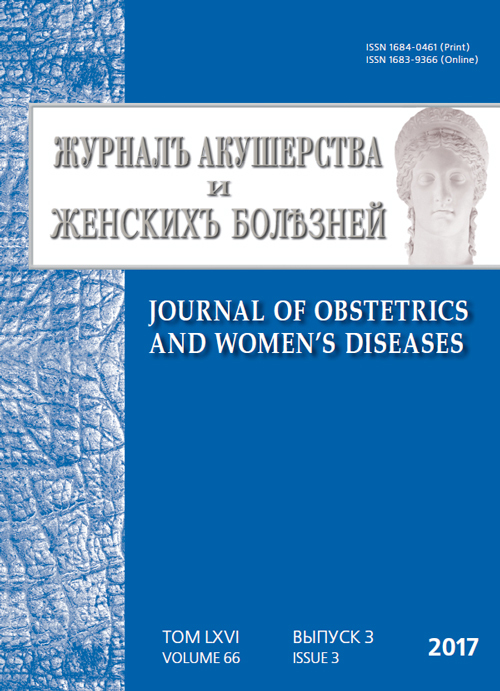 Bespalova O, Sargsyan G. Prevention of preterm birth in multiple pregnancy by using Arabin obstetric pessary. COGI 2016 Nov 10-13, Amsterdam, The Netherlands, COGI24-1313. 2016. Copyright (c) 2017 Bespalova O.N., Sargsyan G.S.